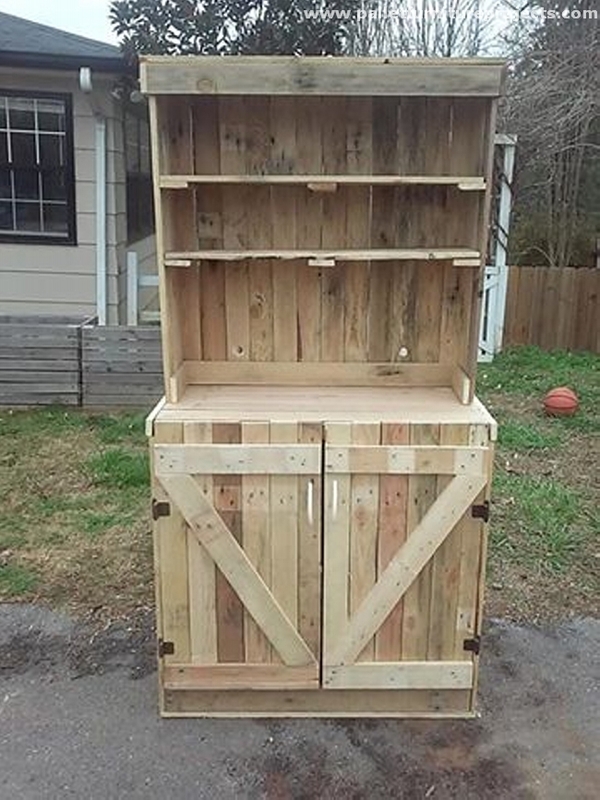 Have you ever seen such a crazy combination of a recycled pallet chest with shelves, I mean seriously? Are you going to really go that far the pallet wooden recycling? I just can not believe on the ever changing ideas presented here in our website. But on a serious note they are just an inspiration for all of us. I know all of my fellow pallet craft lovers love them more than ever before. 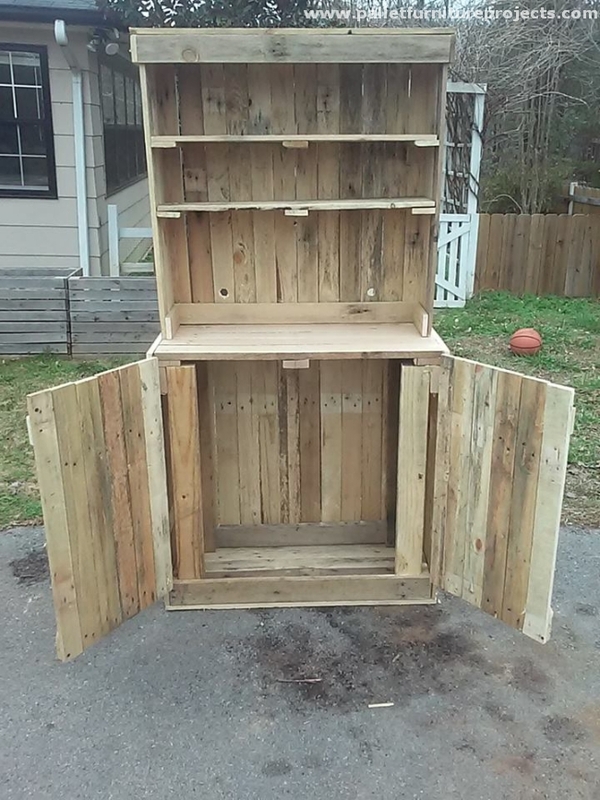 So for today this recycled pallet chest with shelves would be a superb idea to work on this summer. We have made a number of pallet wooden chests and pallet wood recycled shelves. We have also made wall shelves, but none of them have ever been combined. So this is going to be a totally new experience of making a pallet chest with shelves. Every person living in an urban home setting realizes the importance and worth of wooden pallet chests and shelves. Urbanites who are always running short of space, these wooden creations are a great relief to them as they can store a number of accessories in these wooden objects. 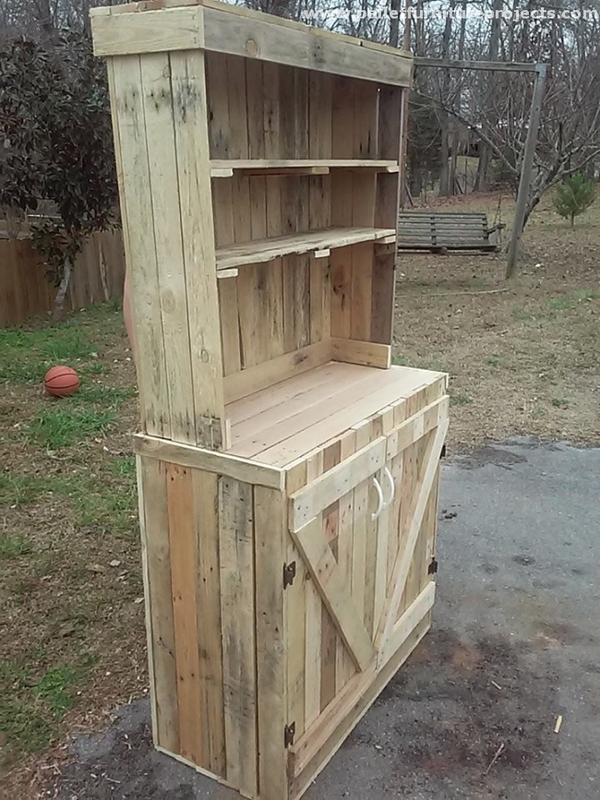 So making this recycled pallet chest with shelf would be a great surprise for all of them.